New York (TADIAS) – The scientific quest to find alternative sources of fuel is an expensive endeavor. 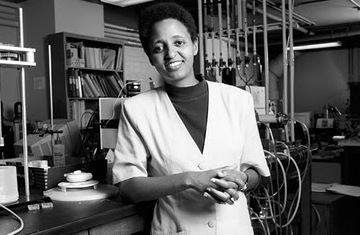 And when Dr. Sossina Haile, Professor of Materials Science and Chemical Engineering at California Institute of Technology, prodded fuel cell makers in the late ’90s to come up with a cheaper prototype, they hesitated. She decided to work on a solution and created the world’s first solid-acid fuel cell at her laboratory. By 2008, two of her former students had taken the lab idea and created a start-up to develop a commercial prototype. 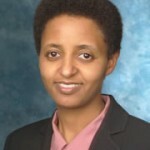 Dr. Sossina Haile’s work has been praised for helping to push the green energy revolution, and last October she was invited to give an ‘Outstanding Women in Science’ lecture at Indiana University. Tadias: When did you first discover your love of science? What was the catalyst? SH: I have enjoyed science as far back as I can remember. I have always loved the fact that it makes sense and as I child I discovered I was good at it. We have a tendency to gravitate towards things in which we excel. Tadias: Can you tell us a bit about where you grew up? The influential individuals and role models in your life? SH: I was born in Addis Abeba, and we moved permanently to the US when I was almost ten. In all honesty, there was not a particular individual who served as a role model for me in the pursuit of a scientific career. I was extremely fortunate in that my parents supported my choices. This was particularly important since many of my classmates were, shall I say, uncomfortable, with a girl in the industrial arts class rather than home economics. Tadias: As a Professor and Researcher at Caltech you created a new type of fuel cell. Can you tell us more about the new material discovery and the implications of its real world application? SH: The new material allows fuel cells to operate at temperatures that are hot enough so that the fuel cell is efficient, but not so hot that the fuel cell is too expensive. Fuel cells convert chemical energy, like hydrogen or natural gas, into electricity. There are many, many reasons why a consumer can’t go out and buy a fuel cell from the hardware store today. Our fuel cells take an entirely fresh approach at trying to solve those problems. Tadias: Last October you were invited to give the Outstanding Women in Science lecture at Indiana University on the topic of “Creating a Sustainable Energy Future.” You note that “the challenge modern society faces is not one of identifying a sustainable energy source, but rather one of capitalizing on the vast, yet intermittent, solar resource base.” Can you tell us some of the additional ways that you envision capitalizing on clean energy sources? SH: If we are to use the sun as our primary energy source, then we definitely need to develop ways to store its energy for use on demand. In my lab we have started to do this by converting the sunlight to heat, and then using the heat to drive reactions that create fuels like hydrogen and methane from water and carbon dioxide. Tadias: In 2008 you served as Advisor for Superprotonic, a start-up founded by a few of your former Caltech students who wanted to develop commercial prototypes of the world’s first solid-acid fuel cells created in your lab. Can you elaborate on this venture? What are the future prospects for the commercialization of your work? SH: Superprotonic, Inc. has as its mission the commercialization of fuel cells based on the materials, the solid-acids, developed in my laboratory. Due to the economic upheavals the work has transferred to a new company, SAFCell, but the mission and the key participants are unchanged. We remain hopeful that the company will be able to manufacture fuel cells that are ultimately more efficient and less costly than others being developed today. Tadias: What aspects of teaching and research do you enjoy the most? SH: I delight in the discovery. When results make sense and we are able to explain something, I am thrilled. When that discovery has potential to solve critical societal problems, I am ecstatic. Tadias: What words would you share with other young, aspiring scientists? SH: I am asked this frequently and I find myself repeating the advice “follow your passions.” I think the corollary is that you should not be constrained by what others think of you. The beauty of pursuing scientific endeavors is that really the only thing that matters is what your brain can deliver, not all of the superficial things that can so easily distract us. Tadias: What is your favorite way (or activity) to unwind and relax from a busy, challenging schedule? SH: The wonderful thing about what I do is that generally I have no desire to ‘get away from it.’ But I confess that occasionally I will indulge in a good book to keep me company on the long flight back from a meeting or conference. I recently finished Chains of Heaven by Philip Marsden. It was fantastic. Tadias: Thank you for taking the time to share your outstanding work with our readers, and best wishes in your research endeavors. Well done! Thanks for shedding a light on her pursuit! Thanks for this! I have read about her work here and there. So it’s great to see/hear her up close and personal!! BTW, I agree 100%! “The Chains of Heaven: An Ethiopian Romance” is a fantastic read. Congratulations to Dr. Haile on her achievements. (Would have liked to see a video interview or audio feed). Absolutely brilliant! Big bravo to Sossina!! As a fellow Engineer, I am very proud of her work. Her research in the long-term has the potential to power cars, buses, power plants and many more. As always, thanks a million to Tseday Alehegn and Tadias! Keep up the great work! Dr Sossina I am proud of you our sister you are great example for the next generation. Way to Go Prof. Keep it up!!!! Dr. Sossina,I would like first of all to congradulate you for your wonderful invention. It really gives pride to see such technology in our world. would you please share your important experiences that you think everyone should come across. thanks. Great. I am proud of u…ur role model too. i am the one proud of with your successful work. you are definitely the role model for youth living all over the world.